Brazil is a minor power located in South America, whose terrain is dominated by the jungles and forests of the Amazon. Although it starts out relatively weak, as the largest and arguably strongest nation in South America, it's in a prime position to expand into its many weaker neighbors and dominate the continent. Brazil has a total population of 40.32 million in both start dates. With the Old Republic of Brazil overthrown in the 1930 revolution, a political alliance known as the New State (Estado Novo) took power. This was mainly because of Brazil's reliance on foreign markets and loans, and with the price of coffee plummeting, the country headed into a deep recession. With the Brazilian economy steadily growing worse, it soon led to the rise of Getúlio Vargas, a populist governor of Rio Grande do Sul, whose ascendance relied heavily on a very diverse group of supporters. After attaining power, Vargas quickly faced the problems with an any such diverse coalition would, with "modernisation" being only a vague term keeping the different groups together. During the years 1930 to 1934, Vargas initiated a series of reforms that can best be described as an attempt to reconcile the radically diverging interests of his supporters, in a process collectively comparable to those of Benito Mussolini's fascist Italy. He also promoted a sense of self-reliance nationalism with heavy tariffs to "perfect our manufacturers to the point where it will become unpatriotic to feed or clothe ourselves with imported goods!". By 1934, Vargas' government steadily developed into a dictatorship modelled along the lines of European Fascism, with Vargas copying their tactics and sharing their rejection of liberal capitalism. Threatened by increasing disagreement and tensions between his supporters, and a leftist wing steadily growing more alienated towards his government, Vargas eventually got pushed into an alliance with the Integralists, the Fascist movement of Brazil. The years 1934 to 35 were characterised mainly by assimilating minor groups with interests akin to those of his own government, while suppressing opposition (particularly leftist opposition). With his leftist base for support crushed, Vargas thus needed to look for support elsewhere, and thus the constitution of 1934 was created on strongly fascist beliefs and tendencies. With Vargas' term due to end in 1938, the government fabricated an alleged communist plot in 1937, which Vargas used to create a favourable atmosphere to stay in power. In his address on 10 November 1937, Vargas, invoking the supposed Communist threat, decreed a state of emergency and dissolved the Legislature. He also announced the adoption by Presidential fiat of a new, severely authoritarian Constitution that effectively placed all governing power in his hands. This ended the 1934 constitution, and Vargas proclaimed the Estado Novo. Under the Estado Novo, Vargas abolished political parties, imposed censorship, established a centralised police force, and filled prisons with political dissidents, while evoking a sense of nationalism that transcended class and bound the masses to the state. He ended up repressing the Integralists, after they attempted a coup that would restore the elections. Brazil's involvement in WWII started out as initially friendly towards the Axis powers, and at first it seemed Vargas' regime was entering into the Axis orbit, even before the proclamation of the Estado Novo. With increasing trade, both civilian and military, between the Axis powers and Brazil, and with Germany being the second largest export market for Brazilian cacao and coffee, largest for cotton, and the German bank establishing three hundred branches in Brazil, US officials soon started to worry where Vargas' international alignment was heading. With Brazil deporting Luís Carlos Prestes' wife, the revolutionary Jewish German Olga Benário Prestes in 1937, Germany offered a formal invitation to the Axis powers at the side of Japan and Italy. The relations, however, soon started to chill when Vargas refused the invitation around the same time as he ousted the integralists, with the proclamation of the Estado Novo. In early 1940, the United States started reaching out to Brazil with its "Good Neighbour Policy". The pragmatic Vargas eventually sided with the Allies, mainly for economic reasons, with the Allies being more valuable trading partners than the Axis and also in exchange for financing of the Companhia Siderúrgica Nacional (National Siderurgical Company, the national steelworks). Eventually, the German and Italian sinking of Brazilian trade ships through their unrestricted submarine warfare led to Brazil formally joining the Allies in August 1942, with a formal declaration of war against Germany and Italy. Brazil eventually sent an expeditionary force in the latter half of 1944, and provided the Allies with a steady supply of rubber through the war. The siding with the Allies did not go unnoticed at home, and the paradoxicality of an authoritarian dictatorship fighting with the liberal forces largely increased the anti-dictatorship sentiment in Brazil. To counter this, Vargas led through a series of reforms, promising "a new postwar era of liberty" that included amnesty for political prisoners, presidential elections, and the legalization of opposition parties. This political liberalization contributed to the downfall of the Estado Novo, being substantial enough to provoke Vargas' resignation on 29 October 1945 and the return to democracy with the 1945 presidential election. This eventually led to the establishment of the Fourth Brazilian Republic in 1946, an unstable republic with high pressure from the military on civilian politicians, which ended with the 1964 Brazilian coup d'état and establishment of Brazilian military government. Brazil does not start with a national spirit. Brazil utilizes the generic national focus tree as it is a minor nation. Brazil is not in any alliances or factions at either start. Brazil starts in 1936 as a non-aligned country, completely authoritarian with no imminent election. All three advisors cost 150 Political Power each to appoint. With the appointment of each of these advisors, support for the Democratic União Democrática Nacional (UDN), the Fascist Integralismo brasileiro or for the Communist Partido Comunista Brasileiro (PCB) will steadily increase. The result of this will be to convert the country to a Democratic, Fascist or Communist country. Once this occurs, the diplomatic rules applied to Democratic, Fascist or Communist countries will also apply to Brazil. Depending on how the player handles this, various events will pop-up asking how to proceed with the ideological drift. Depending on what choices are made during these event choices, the player may end up in a civil war. In that case, the more political support the player builds up, the more of the nation's territory and troops will be under player control. These are choices of ministers and design companies for Brazil. These factories give Brazil a head start compared to a lot of other nations in the area when building up their industry further, with the closest South American nation in industrial capacity being Argentina, with 12 civilian and 3 military factories. If one however wishes to become a major world player, expansion of one's industry must be a priority from the very beginning, as the Brazilian industrial base is by no means comparable to that of the majors. Representing its industrial mobilization through Vargas' early years, Brazil has many factories, but very few dedicated to military purposes. The size of the Brazilian Army is rather small at the beginning, with only 7 division available at game start, two of them being cavalry. While this in itself could be enough to defeat some of the smaller nations in immediate proximity, it is advisable that Brazil build up their forces before attempting full scale war. Especially Uruguay, Paraguay and Bolivia provide easy targets in the early game. The navy is rather small, but big enough to challenge most of the other South American nations. It will however need a build up if it is to stand a chance against the major navies. Brazilian air capacity is rather limited, but once again perfectly on par with the other South American nations, thus giving it a regional edge during air warfare. With a reserve pool of 532.53K, Brazil starts in a favourable position to both expand its military, and wage small scale wars in the proximity, without having to worry too much about little manpower. The Brazilian Expeditionary Force or BEF (Portuguese: Força Expedicionária Brasileira; FEB) consisted of about 25,700 men and women arranged by the army and air force to fight alongside the Allied forces in the Mediterranean Theatre of World War II. This air–land force consisted of (replacements included): a complete Infantry Division, a Liaison flight, and a Fighter squadron. It fought in Italy from September 1944 to May 1945, while the Brazilian Navy as well as the Air Force also acted in the Battle of the Atlantic from the middle of 1942 until the end of the war. During almost eight months of its campaign, fighting at Gothic Line and in the 1945 final offensive, the BEF managed to take 20,573 Axis prisoners, consisting of two generals, 892 officers, and 19,679 other ranks. Brazil was the only independent South American country to send ground troops to fight overseas, losing 948 men killed in action across all three services during the Second World War. Brazil finds itself in a unique geographical location and can potentially change the course of the upcoming war should it choose to align itself with the Axis or Comintern. 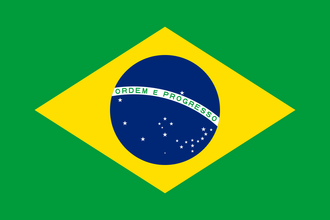 At the start of the game, the player should focus on expanding Brazil's industry. Having a large industry is vital for any nation and Brazil is no exception. Military factories should come first as Brazil has far fewer of them compared to it's much more robust civilian sector. While industrialization is underway, the Brazilian military should also be expanded. This, however, may not be an easy task as Brazil has very little resources on its territory which hampers military buildup. Brazil happens to possess 30 units of Rubber which can make small-scale vehicle production possible while importing Oil can allow Brazil to potentially field a motorized army, something that can easily be a decisive factor against countries lacking motorized equipment. Once the player builds up enough political power to elect a government adviser, Brazil stands at a crossroads; Defensive or Aggressive focus? Should the player choose to be aggressive, then the next choice will be what ideology to pursue; Fascism or Communism? The choice is up to the player but the +7% manpower obtainable from Fascism is a thing worth taking into notice. Should the player choose fascism, they will gain 7% additional manpower and Brazil can ally itself with the Axis and open up a new front in South America, bringing the war closer to the United States and depriving it of the advantage of being protected by the Atlantic and Pacific Oceans. Should the player go for communism, Brazil could join the Comintern and, again, bring the worker's revolution into the Americas and deprive the USA of its geographical advantage. Brazil could also be subversive, France has a dangerously high communist popularity in its government and a little popularity boosting might just be enough to push them over the edge. If France becomes communist, this can do anything from disrupting the formation of the Allies (France will not join Great Britain if it is communist) to landing a new member into the Comintern (France has a national focus path that works towards joining the Comintern) to potentially resulting in the formation of an additional communist faction (The Little Entente, which France can form if it doesn't join the allies). The United States and United Kingdom are also worth considering for boosting party popularity in, converting the United States to communism makes them less likely to join the allies and they might even join the Comintern if they are attacked by a foreign power not part of said faction. The United Kingdom is a little less reliable but making them communist lessens the chance of war with them. Early conquests are a race against time, as the United States guarantees the independence of all American countries. The USA however, will not act on its guarantee unless the aggressor is a foreign power until the "Pax Americana" Focus is completed, allowing them to intervene in wars between American countries. No matter how well entrenched the Brazilians are, holding off a full-power American military is a very hard task to do, the player's best bet is to hold off the US military long enough to drain their manpower reserve completely which is beyond tedious and grinding. As such, Brazil will have to secure enough resources and land to hold its own against the Americans before the United States gains the ability to act on its guarantees. A communist Brazil can invade and conquer neighboring South American countries to obtain resources with Venezuela containing an abundance of oil, Argentina and Bolivia a large supply of tungsten, and Chile controlling about half of South America's steel. Additionally, the European colonies just north of Brazil have a large abundance of Aluminium, with especially the British and French being valuable. Successfully conquering all of South America could yield Brazil enough resources and factories to make it a major power on part with the others and there is technically nothing stopping Brazil from continuing its advance into Central- and North America, conquering the United States is a worthwhile achievement as the amount of factories and resources the player can obtain this way cannot be understated. Should the player successfully defeat every other nation in the Americas and conquer the whole continent, Brazil will likely at this point have become powerful enough to take its fate into its own hands and freely decide what to do next. Ambitious to say the least, Brazil could quite possibly betray its allies and launch a world conquest from here, although that may be dependent on what the rest of the world looks like by this point.